Lavender is a favorite herb of a lot of gardeners, and for good reason. Its soothing color and fragrance can pervade your garden when fresh and your home when dried. Few can resist its charms. Unfortunately, few live in a climate similar to its hot and sandy Mediterranean home. If your winters are too cold or your soil is too dense, or even if you just want that fragrance closer to home, growing lavender in pots is a great idea. Keep reading to learn about potted lavender care and how to grow lavender in containers. Lavender can be grown from seed or from cuttings. The seeds should be placed on top of sandy soil and covered lightly with a layer of perlite. They ought to sprout in two to three weeks. 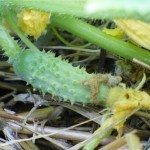 Cuttings should be taken from plants just below a node (where a set of leaves join the stem), dipped in root hormone, and stuck into warm, moist, sandy soil. No matter how you start your container grown lavender plants, it’s important to choose the right container and potting mix. Lavender doesn’t like to be damp, but it does need water. This means good drainage is essential to lavender container care. Pick a container that has plenty of drainage holes. If it only has one or two, drill a few more. If you plan on keeping the pot inside, you’ll need a saucer to catch the water, but avoid pots with saucers attached to the bottom. Choose a sandy, alkaline, well-draining potting mix with slow-release fertilizer pellets. Lavender container care is all about maintaining the right temperature, sun exposure, and water level. Luckily, none of this is very intensive. Place your container grown lavender plants somewhere they receive full sun (at least 8 hours per day) and water them sparingly. Allow the soil to dry out between waterings, but don’t let it get so dry that the plant wilts. 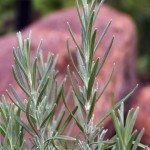 Lavender likes heat, and many varieties won’t survive a cold winter. The beauty of growing lavender in pots is that it can be moved to avoid dangerous conditions. When temperatures start to fall, bring your container grown lavender plants inside to tough the winter out by placing them in a window that receives full sun.